but the printer end is considerably larger. squarish type of plug, probably a little more than 1/4" (both ways). power wall-wart cord. So, I need to get a cord on ebay or somewhere. printer to a computer store and tell them to find me a cord that fits. I had a name for it. Does the connector look anything like this? You can get a 10 foot cable for less than $3 (including shipping) on eBay. printers, so I have a bunch that just do nothing. My MFJ-225 VNA has the B connector. SPICE model for a spark plug? Those will generally be micro B, or mini B, not plain old B. The HP Photosmart C4400 series was initially released in 2007.
considerable use, which means it full of crud and in need of cleaning. sure at least one works. Good luck. Just search eBay for "USB Printer Cable". 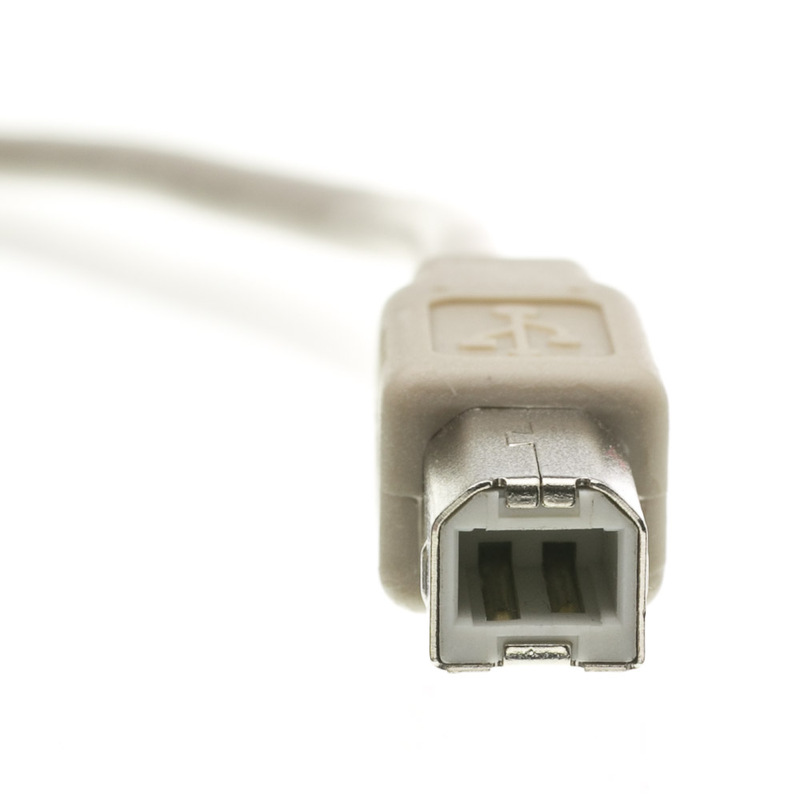 The connector on the printer is USB 2.0 Type B. Do NOT get it confused with a USB 3.0 Type B.
out though, and it's expensive. printer. If I wanted a printer, I'd only buy a laser type. transfer them to my computer with a USB SD card adaptor. Either way, I'm sure I'll get my bucks worth out of it. computers, since my newest operating system is Windows XP. Either way, if I can get a cord on ebay for $3 or so, I will buy one. What is the name of the red rubber like stuff? OT: Anybody actually using a 3-D printer? than an ink sprayer for printing, but decided that I had said enough. than 20, I'd waste most of the ink anyhow. use and did a halfway decent job on text, but not pictures. large. Great for schematics. And it's still 15 cents a page. "Print" and heard it chatter. Only then did an error pop up (No paper). So, I think it will work as a scanner.